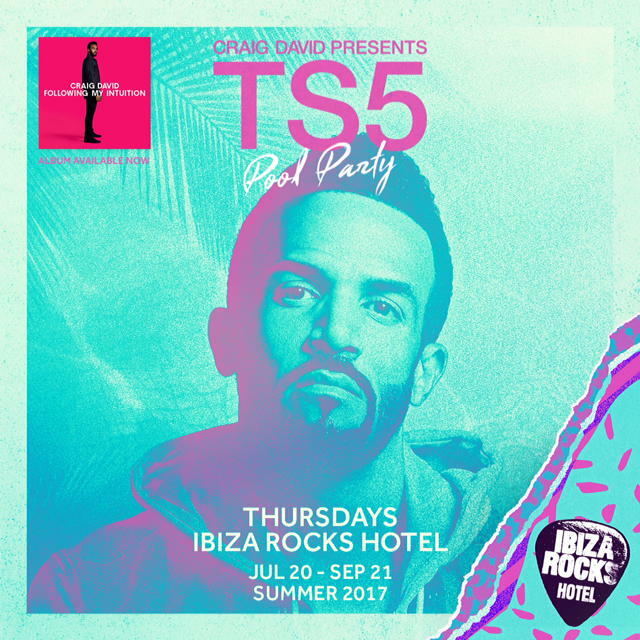 Craig David has revealed a 10-week TS5 residency at Ibiza Rocks Hotel this summer, which runs on Thursdays from 20th July to 21st September. David took his TS5 pool party to Ibiza Rocks Hotel for a sell-out eight-week stint last year, as well as to Glastonbury Festival’s Dance Village at the start of the summer. Tickets to the Craig David’s TS5 residency at Ibiza Rocks Hotel go on presale this Thursday 2nd February before general sale commences at 10am on Friday 3rd February, both via the Ibiza Rocks website.